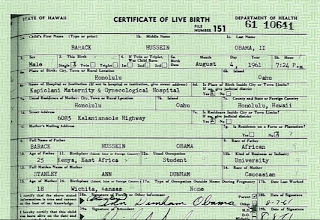 After years of resisting political pressure from conspiracy theorists who insist he was not born in the U.S., President Barack Obama released his complete birth certificate to the public on Wednesday. Mr. Obama filed paperwork to obtain his birth certificate from the Department of Health in Hawaii, his aides said, because the issue of his place of birth had become a distraction to discussions about issues like nation’s mounting fiscal problems. Pastor Arrested for Preaching Gospel to "Captive Audience"
Captive-audience doctrine refers to a legal principle prohibiting a person from making intrusive speech. It is also known as the captive-audience rule. The rule is recognized under both constitutional law and labor law. Under labor law, the rule prohibits a party to a union election from making a speech on company time to a mass assembly of employees within 24 hours of an election. However, the captive-audience doctrine does not apply when the unwilling audience is located on a public street or sidewalk because they can avoid the unwanted message simply by walking away or averting their eyes. The captive-audience doctrine can be used outside the residential setting when the degree of captivity makes it impractical for the unwilling viewer or auditor to avoid exposure. [Sabelko v. City of Phoenix, 846 F. Supp. 810, 825 (D. Ariz. 1994)]. Who is the Ground Zero Imam Coming to Portland Tomorrow? "A Wolf in Sheep’s Clothing" and a "Slick Willy"
Tomorrow is the day that Imam Feisal Abdul Rauf comes to Portland to speak at the Q Gathering. Please take a listen to several experts I’ve spoken with recently on the program about the radicalism of the Imam. He’s not the “moderate” “bridge builder” he purports to be. If he’s such a nice guy why did he call for a mosque to be built two blocks from Ground Zero? To announce victory, of course. I’ll be out informational picketing Wednesday from 5pm to 7pm in front of the Crystal Ballroom at 13th and West Burnside. Hatas need not come, but if you want to stand up for America, please make the effort. If you don’t stand up, who will? Andy McCarthy – talking about Imam Rauf. Click to Listen! Walid Shoebat, former terrorist, discusses the Imam Rauf. Click to Listen! Robert Spencer – Director of Jihad Watch, talks about Imam Rauf. Click to Listen! Kevin Palau of the Luis Palau Assn.- bringing Faisal Abdul Rauf to Portland. Click to Listen! Gabe Lyons – Founder of the Q Blog, talks about Imam Rauf. Click to Listen! Author Brigitte Gabriel on Imam Rauf and radical Islam. Click to Listen! Who has been “pandering,” Mayor Leavitt? You have!